Recently Netflix has been bombarding us with brand new, original films. Not all have been blockbusters but with the likes of BIRD BOX bringing in recorded viewing figures and new films popping up on the streaming service almost weekly, there’s sure to be something for everyone. Here we take a sneak peek at some exciting Netflix Original films that are scheduled for release over the next few months, along with any available trailers and info! Have a look through and see if any grab your attention. 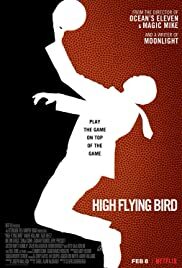 First up is High Flying Bird, a film about a sports agent Ray Burke (André Holland) who finds himself caught in the face-off between the league and the players. His career is on the line, but Ray is playing for higher stakes. With only 72 hours to pull off a daring plan, he outmaneuvers all the power-players as he uncovers a loophole that could change the game forever. The outcome raises questions of who owns the game – and who ought to. Directed by Academy Award winner Steven Soderbergh (Traffic) from a script by Academy Award winner Tarell Alvin McCraney (Moonlight), HIGH FLYING BIRD features an acclaimed ensemble cast that includes Zazie Beetz, Melvin Gregg, Sonja Sohn, Zachary Quinto, Kyle MacLachlan and Bill Duke, plus appearances from NBA athletes Reggie Jackson, Karl-Anthony Towns and Donovan Mitchell. 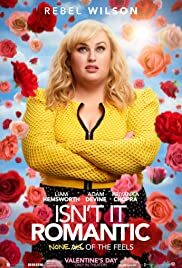 Isn’t It Romantic also stars Liam Hemsworth as Blake, Natalie’s handsome client; Adam Devine as her earnest best friend, Josh; and Priyanka Chopra as yoga ambassador Isabella. ELI is the story of a young boy plagued with an unknown, debilitating illness that requires him to live completely sealed off from the outside world. After exhausting every option, his parents put their trust – and his life – in the hands of a doctor whose experimental, cutting edge treatments may hold Eli’s last hope. 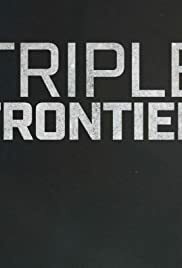 As Eli undergoes the tremendously intense process that could potentially cure him, he begins to be haunted by experiences that make him question who he can trust. Klaus is a 2D animated family feature film from writer/director Sergio Pablos, co-creator of Despicable Me. When a selfish young postman is assigned to a remote Scandinavian town, his unlikely friendship with a reclusive toymaker leads to the origin story of Santa Claus. This timeless story is visualised through a unique combination of classical hand drawn animation and cutting edge digital technology. The world features volumetric lighting and texturing typically seen in CG animated films. Voice actors include Jason Schwartzman, Rashida Jones, JK Simmons and Joan Cusack. 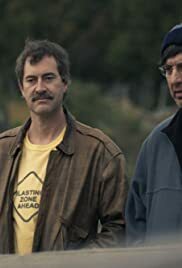 Written by Pablos, Zach Lewis and Jim Mahoney, the screenplay is based on an original story by Pablos. Matthew Teevan, Gustavo Ferrada and Marisa Roman are producers, and Jinko Gotoh (The LEGO Movie 2: The Second Part, The Little Prince) is executive producer. Sergio Pablos’ SPA Studios is producing the film in Madrid, Spain, with Atresmedia Cine, with Toon Boom as a technological partner. And with other films from directors such as Guillermo del Toro (Shape of Water) Chris Williams (Moana, Big Hero 6, Bolt) And Glen Keane (The Little Mermaid, Aladdin, Beauty and the Beast) It’s clear Netflix is very serious about it’s film features. The debate on weather we’d prefer to see these in the cinema is for another day.. but one things for sure…. more films can only be a good thing! So which of the films above are you most excited for? Sound off in the comments below! Be the first to comment on "Upcoming NETFLIX Original Films"